· Digital Handheld Sports Stopwatch Time Clock Alarm Time Counter. · Professional Chronograph Digital Timer. · Displays Hours, Days, Month Week Days. · Complete With Fabric Lanyard For Carrying Around The Neck. · Include Powered By Button Battery. · Small and light weight, portable and fashionable. · With hour, minute, second, AM/PM indicator, month, data, and day of the week function. · 12/24 hour display, Easy to use. · Timer Stopwatches alarm with 4 minutes snooze. · Time Clock Alarm Counter Timer. 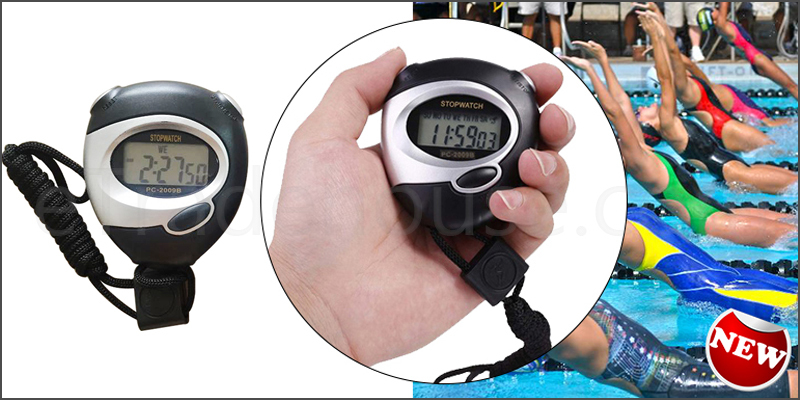 Digital Handheld Timer Alarm Stop Watch.